The message inside read " We hear you are looking for a jolly fat man this Christmas "
Over the coming days I would like to show you a bit more Christmas by sharing some gifts,cards and decorations I made for my family and friends. 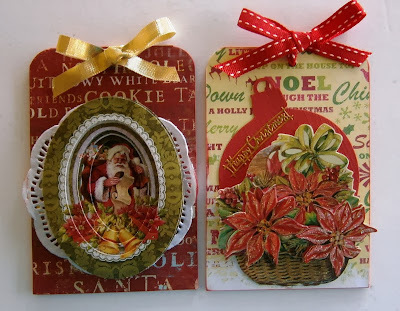 Todays' cards were made from an idea that I saw shared on Pinterest. 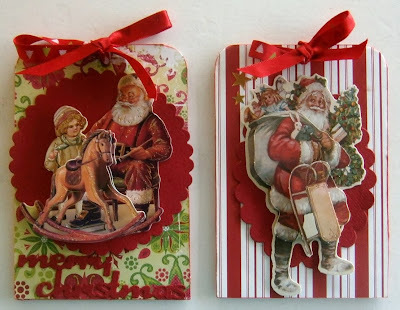 They are tri fold cards and decorated with Spellbinders dies and Cuttlebug embossing folders. 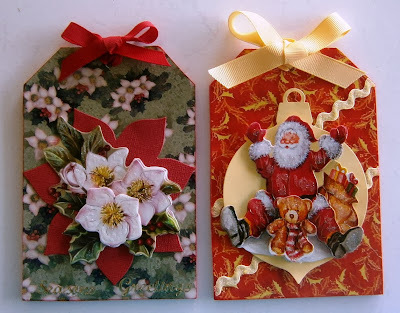 A friend orders some Christmas Cards from me each year and we try to come up with something a bit different, This year we decided on card sized tags with 3D images on the front a spot on the reverse to write a message . 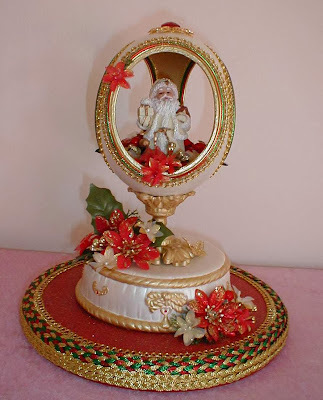 Merry Christmas to everyone . I hope you are enjoying your day Thank you for your support during the past year . It is greatly appreciated. 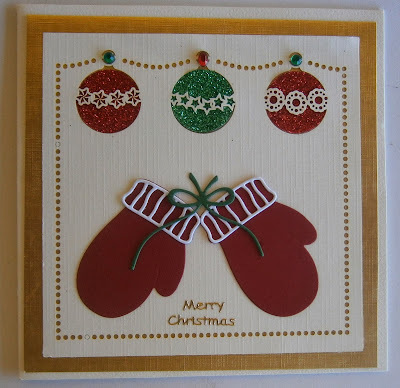 I have used a laser cut card front with gold card as a base and glitter paper under the openings and added Elizabeth Crafts Mittens dies. 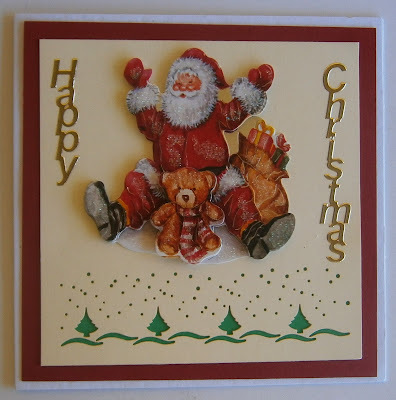 I am not sure of the name of this card but I cased it from a card sent to a lady who was keen to have one made like it. I wasn't the easiest card I have made but the finished product certainly worth the work. 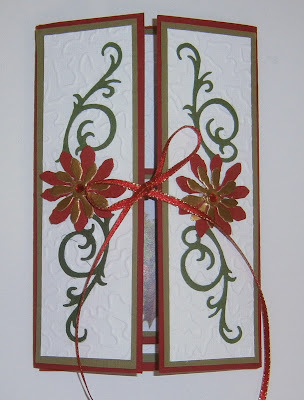 This card was made with paper piecing from an idea I saw in an Dutch magazine. The background is hand made paper. Percy Penguin I have made this card or our great nephew Jay from a Cardmaking Paradise pattern. Lots great patterns available on this site. 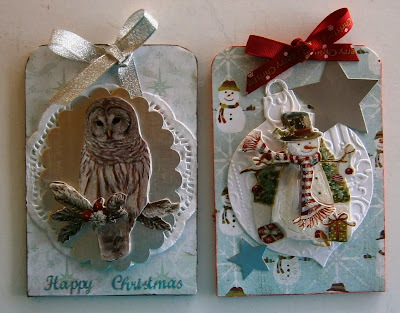 Christmas is just around the corner so it is time to share some of the Christmas cards I have made this year.